You are going to Watch Naruto Shippuden Episode 402 English subbed online free episodes with HQ / high quality. Stream Anime Naruto Shippuden Episode 402 Online English sub Escape vs. Pursuit. Kiba and his team are in pursuit of Hidden Grass Ninja who have stolen their scroll! Team 8 is ambushed by the Hidden Grass’s Team Kazami, who need their Earth Scroll. Kazami takes on Hinata while his team mates Burami and Muyami deal with Kiba and Shino in a scheme to weed out which member of Team 8 has the Earth Scroll. Once Kiba is exposed as the holder of the scroll, Team Kazami lead a joint effort to successfully obtain the Earth Scroll with Burami using his unique Smell Sphere jutsu to immobilize their opponents. But Team 8 manages to fight Burami’s jutsu through sheer willpower as Muyami summons a giant mole named Moguranmaru that he and his team mates escape on. Shino managed to plant one of his kikaichū on Moguranmaru so he and his team can pursue Team Kazami, only to nearly get killed in their quarry’s quicksand trap. 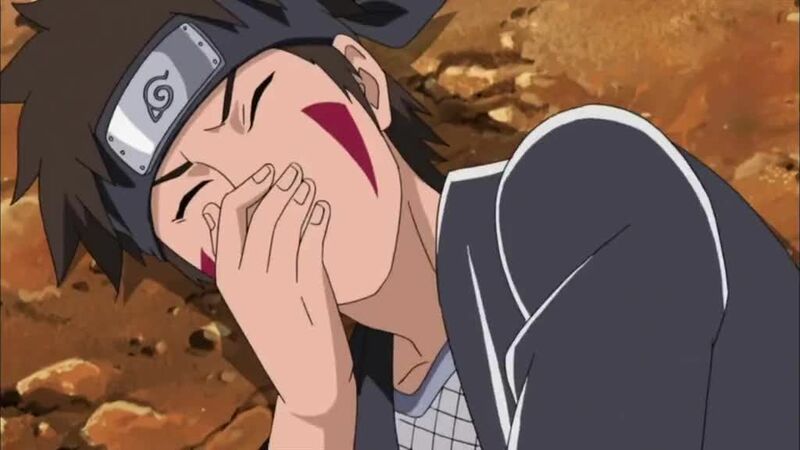 With Team Kazami now out of Hinata’s vision, Kiba uses his sense of smell to track the Grass ninja down. 4.3 / 5 - 83 ratings.